We want our patients to experience first class service. We try our best to achieve that perfect smile, making appointments convenient and setting up flexible financial arrangements. At your free initial orthodontic exam, Dr. Leber will evaluate your teeth and explain in detail the possible treatment options in how we will create that “special smile”. Every patient is different, and sometimes only one type of treatment will be recommended for ideal results. Welcome to your local Tucson braces provider. Choosing your orthodontist is a very important decision because treatment typically lasts for 1 to 2 years. At Leber Orthodontics, you become part of our orthodontic family when you start treatment. We will work diligently to make sure we achieve that "special smile." 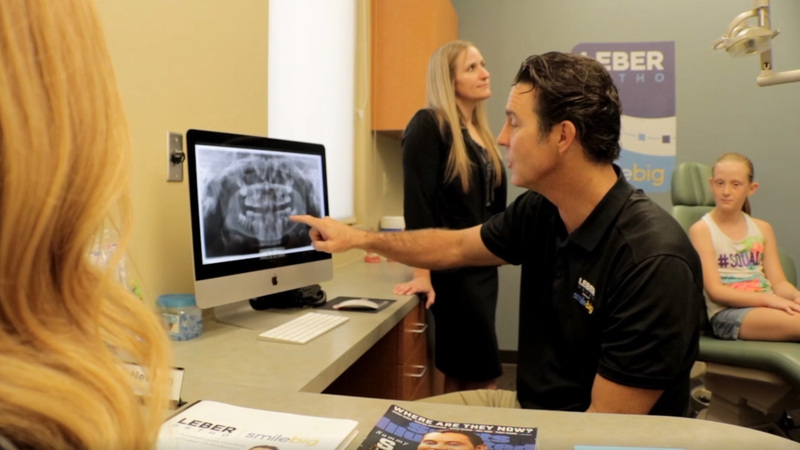 At each appointment, every patient is evaluated by Dr. Leber and you will be given a report of the progress of treatment. We encourage your input of any concerns or issues during treatment. Our favorite part of the orthodontic process is the chance to get to know the person behind those teeth. Besides getting nice straight teeth, we want our patients to enjoy the process and to have FUN! Braces can be made of metal or ceramic. By placing a constant, gentle force in a carefully controlled direction, braces slowly move teeth to a corrected position. This is a great time to wear braces! Gone are the days when a metal band with a bracket was placed around each tooth. You can choose brackets that are clear or metallic color. You can choose the color of the ties that hold the wire in brackets. Wires are also less noticeable than they used to be and the latest materials move teeth faster with less discomfort to patients. Both Dr. Larry and Dr. Eric Leber are Certified Invisalign Providers. Our office is one of the largest providers for Invisalign treatment in the Tucson area. In addition, both doctors consistently attend continued education lectures about Invisalign treatment. Retainers are very similar to the Invisalign treatment. Retainer treatment consists of a removable appliance that is built to move your maligned teeth. Like the Invisalign, retainers needs to be worn most of the day and night to achieve the desired results. Where Invisalign is a clear aligner, retainers are made with acrylic and wires. This treatment option is for minor tooth movement. One of the most common questions we get asked is, "Should I get braces or Invisalign?" As with anything in life, there are pros and cons with both options. The good news is that both Invisalign and braces are great at aligning your teeth and correcting your bite problems. The American Association of Orthodontists recommends that your child get an orthodontic check-up no later than age 7. 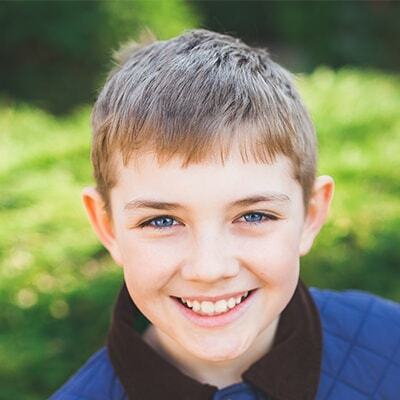 While your child's teeth may appear to be straight, there could be a problem that only an orthodontist can detect. An orthodontist can spot subtle problems with jaw growth and emerging teeth while some baby teeth are still present. That's important, because some orthodontic problems are easier to correct if they're found early. Adults are the fastest growing population of patients seeking orthodontic care. In fact, about one in every five orthodontic patients today is over age 18. Adult treatment is very similar to standard adolescent treatment. With adult patients, we truly listen to the patient's chief compliant and concentrate our efforts in addressing these main concerns. And advancements like clear/invisible braces and shorter treatment times makes orthodontics even more appealing now. It's never too late to get a healthy, beautiful smile!